When traveling through space and time, it's best not to misplace your spaceship keys! Keep track of those little guys with this Pocket Pop! Key Chain. 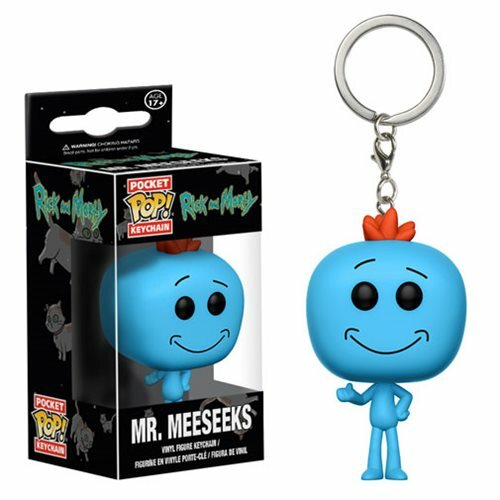 The Rick and Morty Mr. Meeseeks Pocket Pop! Key Chain measures approximately 1 1/2-inches tall and comes packaged in a window display box. Ages 17 and up.